This is a 2/2 for 2 with options, and that’s worth shelling out for. 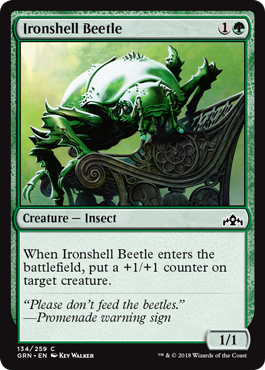 Making a critical creature big enough to be relevant is a good ability, and the 1/1 this leaves behind can fuel both convoke and undergrowth nicely. Aggro decks will want this as a curve-filler, and midrange/control will sometimes play it if they lack early action.